Brr. It's the afternoon and the fog finally lifted near noon...but I'm still cold. Can't wait until sunny spring! Our bean of choice for the last few years has been the Royal Burgundy Bush Bean (pictured above in last year's garden). Royal Burgundy Bush Beans are less attractive to bean beetles, which have in the past eaten our plants until they looked like plant skeletons, not to mention severely marring the beans themselves. We are in the midst of corn and soy country(and quite literally in the middle of a corn- or soybean field each year). If you live in town, it may not matter to you about the bean beetles. Toward the end of the season, we do have some damage, but nothing like it has been when we used other bean varieties. The bush habit of Royal Burgundy Bush Beans means that I can plant them in a row and they will more or less behave themselves and stay in that spot. Because of their bush habit, they tend to produce a largish crop, and don't produce a lot after that, though you will get some here and there. I find that I have a few weeks where I have a lot of beans that I blanch and freeze in freezer bags, but after that, we only have enough for dinner when I go out picking. Cherokee Wax Beans (pictured above with some of the Royal Burgundy's) were something I tried last year for the first time. They are quite similar to the Royal Burgundy (except in color, of course), though the beans got bigger and tended to get more stringy than the Royal Burgundy if I let them go too long. I think they did produce a little better than the Royal Burgundy's, but I still like the Royal Burgundy's best. I didn't notice many bean beetles on these plants, either. We have not had a lot of luck with pole beans, due to the bean beetles, my giving the Royal Burgundy's ample garden space, and trying the pole beans out in the less-cultivated garden where they got neglected and the weeds took over and then production was negligible. 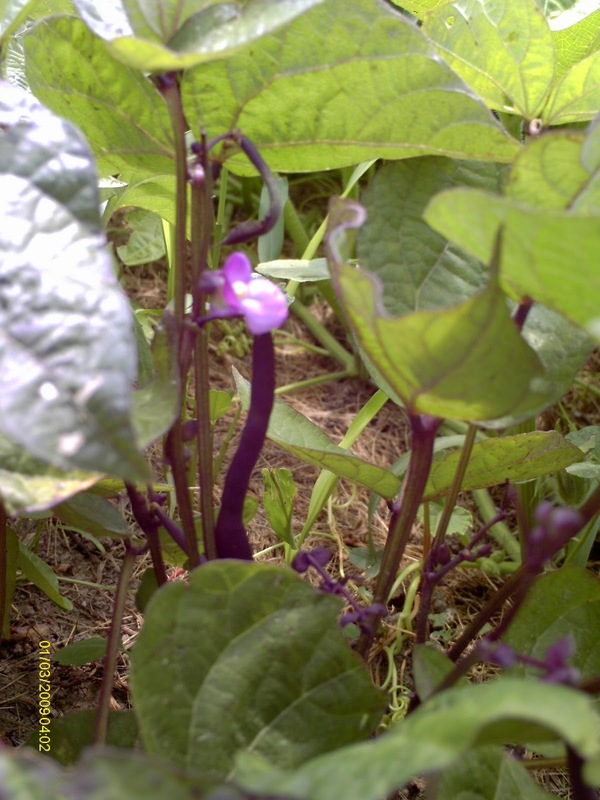 I plan to try it again this year, both with the Scarlet Runner Beans(that I can use like "green beans" and as dry beans if I let them mature) and with regular ol' pole beans--probably Kentucky Wonder Beans. The Jacob's Cattle beans are something we have been looking to grow for a couple years now. From what I have read, they are essentially Anasazi beans, which I love and have not been able to find in stores for years. Randy found a variety at Lehman's from Seedsaver's Exchange called Jacob's Gold and I think we will go with that this year, though it's not as pretty as the Jacob's Cattle bean, imo. 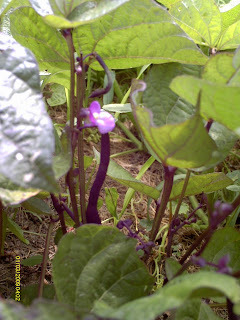 This bean is also one that can be eaten like a "green bean" and/or allowed to mature and dry and be used as a dry bean. I have planted black beans from a bag of dry beans from the store and had pretty decent results. I love black beans, but the rest of the family regards them with suspicion unless they are sufficiently camoflauged in something like Sweet Potato Burritos, so I am not sure if we will allocate space to those in addition to the other beans we are planning to grow. When planting bush beans, I make a long hill for my bean row, and then I push the bean seeds down into the ground(read the package to determine depth) about an inch apart or so(again, read the package). Water, then wait for them to sprout up, and you will have beans in no time! It's too early yet to go out and till(or have my hubby till) or plant much, but I have been planning my garden this year. Due to my love/hate relationship with tomatoes(the one food allergy I can't seem to completely kick), I decided I am not going to plant tomatoes this year. I just don't want to deal with them at all because they hate me. (insert stubborn smilie with arms crossed here). I am sure I will have some volunteers come up in the garden and I will put them somewhere for the kids to tend to/eat off of if they feel the need. But I'm not allocating large portions of my garden(and my time) to something I can't freely eat. I haven't purchased all of my seed yet, but here is what I am planning on growing this year (OG=Organic Seed): The links may differ with the brand name I actually ended up purchasing, but the varieties should be the same. 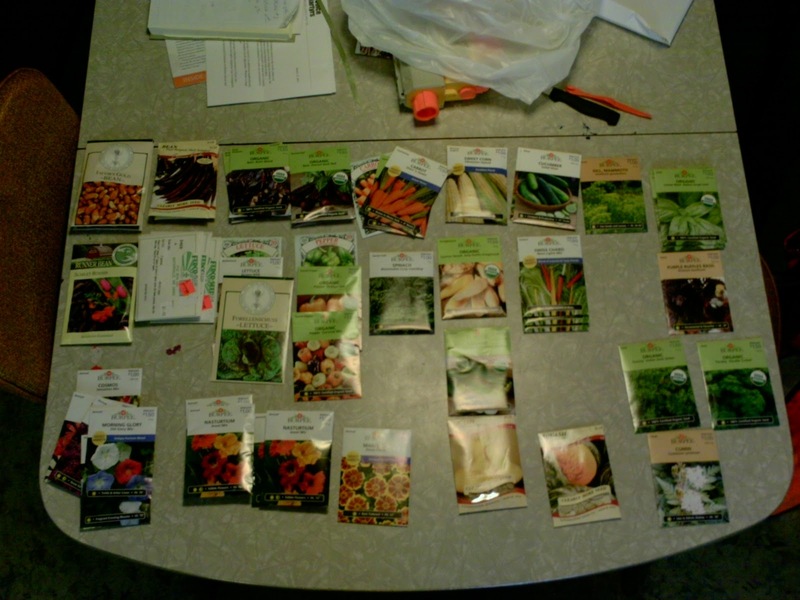 I purchased much of my seed from Walmart(even the organic ones), but there are other seeds I want to try that Walmart and major seed companies cannot provide. I use these sites/catalogs as a jumping-off-point for what to grow. This year, my original goal was to order solely from Baker's Creek, but alas, a look at the budget said to compare prices. I made my wish list from the Baker's Creek catalog, with quantity and prices and did the best I could to compare with the Walmart prices and got a lot of them from Walmart. (It's hard to really compare when one place sells by seed count and the other one sells by grams...). Walmart is limited in what they can offer. 98% of seed companies are owned and worked with by six major seed corporations, Monsanto, Syngenta, DuPont, Mitsui, Aventis, and Dow. You can read about this in Chapter 3 of Animal, Vegetable, Miracle: A Year of Food Life by Barbara Kingsolver and there is a long article involving this topic at the Organic Seed Alliance website. My use and support of the above sites and catalogs is an effort to take at least *some* of my business away from the would-be controllers of the world's food supply. We also would like to add in some more Nanking Cherries to the row we started a few years ago. I went in to make sure the red pepper and xanthan gum treatment held. So far, it has. I also brought in some things that I have suspected reactions to. Turns out the Soy truly was and is a culprit for the near-instantaneous skin breakout the other day. So I got treated for that. And I also suspected rice, because on this gluten-free thing I'm doing, I have tried Tinkyada rice pasta and Arrowhead Puffed Rice and had what I suspected as being reactions(the pasta made my stomach/gut hurt, the rice cereal caused itching and lower-GI aching). Sure enough, something about the Rice is not good for my body. I am in the process of contacting companies and figuring out cross-contamination issues with them. Same with my vanilla--need to check the ingredients on it. So: today I was treated for Soy and Rice. Which makes me want to continue to avoid SOY-GMO and otherwise-- as much as possible and not even have it on the odd batch of coleslaw anymore. I need to find a different mayo or a different coleslaw dressing recipe. And stick to non-processed rice. Today is the day that was my due date. I generally went late in my previous pregnancies and had figured that the 27th would have been more my goal due date in my head(as opposed to the doctor's little chart)...but at any rate, it would likely have been this week/next week, had the pregnancy come to term. I had thought that I was "over it", at least for the most part. And I am(I think). At least the worst part of despairing grief. I still think about "what could have been", and if I look at a baby too long and let my mind think a bit too much, I still tend to cloud up (and, if I'm perfectly honest, get a little jealous). I think that's normal, and just a part of the grieving process. Remembering the raw pain that I experienced is what has brought the most tears. But I also cry tears of hope as I look to the future, after this life, of meeting my child with my Lord in Heaven. I have this hope because of my faith in Jesus Christ, who cleanses us from all sin if we will only turn away from our sin, ask for His forgiveness, and turn to Him. Jesus not only saves me from hell after death, but He gives me hope in this life as well. Here is more information if you are interested in having that same hope. This song has been such a God-send(literally) to me during this time. I'm sure it helps, too, that Casting Crowns is my current favorite group. 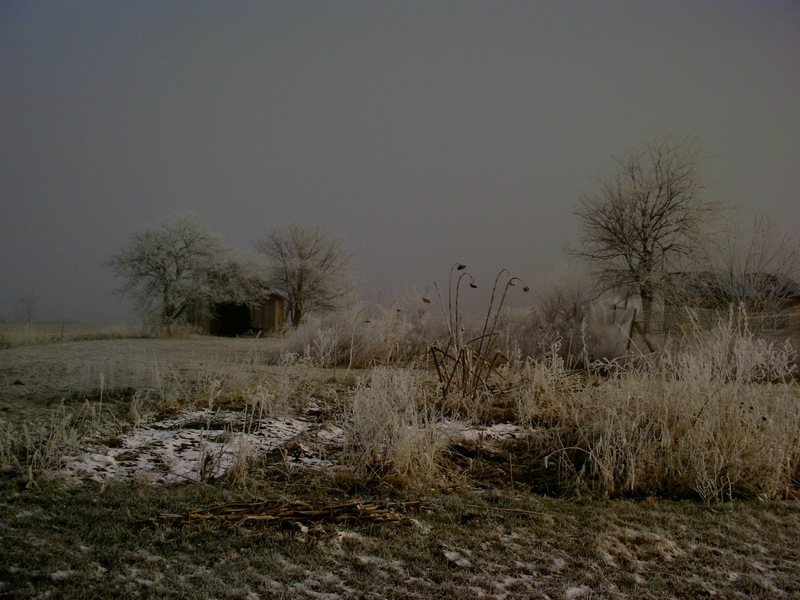 And this one is good, too: There is a Reason by Caedmon's Call. It is still raining. Both literally late last night and today (which I find to be oddly appropriate, but I am hoping for a bit of sunshine), and in my heart and soul. My Hope is in the Lord. His ways are perfect. There IS a reason for this, though I cannot see it. It amazes me, the older I get, and as I grow in my faith, how much more I am like a child than a knowledgable, wise person. The more I know, the less I know. The more I know myself, the more I parent my children and recognize their childish behavior...the more I recognize similar things in myself... Some days I learn more from my children than from other avenues of learning. Amazing how that happens! I look forward to the day I get to meet my little one in heaven. We do not know the gender of our baby, but I chose the name Avery to remember by. So, say hello to Jesus for me today, wee Avery. And give your Great Grandma's and Grandpa's a hug for me. The good thing with this Gluten-free, Nightshade-free diet is that it takes a lot more of the processed foods out of my diet(not that I eat THAT many, but still...) and leaves less room for guessing when I DO react to something. The rest of the stuff I used to make the coleslaw have been ok in the past as far as I know. I guess I'll bring in my mayo, bottle of lemon juice, packet of stevia, and paprika to be muscle tested for next time I go in...and my chocolate bar(which has soy lecithin). The chiro said the other day that a lot of people who go Gluten-free notice a difference in their sinus issues--in that the sinus problems go away. Same with seasonal allergies. So far, I seem to have relatively normal sinuses, considering the dampness and mold issues we've had in the past. The maple tree out front is pollenating(I think) and I don't notice anything as far as allergies yet. Time will tell! Having been Gluten-free for over a week now, and having my personal issues with the xanthan gum (and, I suspect, other GF substitutes, as my bod isn't happy with the Gluten-Free Brownie I had yesterday---it had potato starch in it--a nightshade---ARGH! how do I overlook these things???? ), I am wondering whether the "typical" GF diet isn't a hybrid of the Standard American Diet. What got me started thinking along these lines was a blog post at gluten-free-girl and the chef , where the author talks about her own problems with these same substances and suggests that they are not even necessary in Gluten-free eating. What I am saying is.....all of those "gums" and "starches" are pretty highly refined. Previous to this Gluten-freeness, I'd been trying to move away from the refined junk in the interest of health. If we are going Gluten-free in order to be more healthy, why do we find the need/fall into the trap of filling our guts with refined starches and gums and etc? What's wrong with normal, whole (Gluten-free) foods? I admit I am drawn to the Gluten-free mixes on the store shelves. But then I wonder: in purchasing these highly-processed "food-like substances" (term taken from Pollan's Food Rules ), am I falling for another marketing gimmick? I mean, sure, these things are Gluten-free....but are they really something I need to have as a staple in my diet? Do I really need a bread-like substance every day, just to keep my diet looking more like the SAD? Some might think so---and I'm sure the companies that make these products think so, too. But I'm not sure I agree. I'm still thinking on this issue. Perhaps I am biased with all the food issues I have had in the last couple of years. Ok. I am biased. There's no "perhaps" about it. But I'm seeing that I'm not the only one experiencing these problems...With the exception of tomatoes/nightshades(which is a genetic thing--thanks, Dad! ;)) the things I have had the biggest problems with are the highly processed derivatives hidden in so many of our foods. Corn was the worst and hardest to avoid, but soy was there too(but easier to avoid since it legally has to be labeled on foods since it's recognized as one of the top 8 food allergens). Corn and Soy are pretty much guaranteed to be Genetically Modified in the US food supply. And one has to be pretty observant and dedicated in order to avoid them. And they still sneak in. I am going to continue my Gluten-free, Nightshade-free elimination diet without using those tempting mixes and such. Last fall I had a plethora of butternut squashes. I gave some away and when people stopped taking, I put the rest in the unfinished basement for us to use all winter. Except it seems nobody but me likes to eat butternut squash. Boo. The Butternut Squash lasagna was a no-go(even for me--it was that weird). They don't like it mashed or roasted. And it's not exactly low-carb(that's hubby's excuse, lol). The only success I had was sneaking the leftover mashed squash into pastured beef stew for the kids and I one night and they all ate it, though at the very end of the meal my oldest voiced his suspicion and I pled ignorance. I was cleaning out our sunporch a bit recently, and decided to bring the geraniums up from the basement, where they spent the winter as an experiment to see if I could do it. The butternuts were in a paper bag on the shelf below the geraniums, which were near the tiny window. 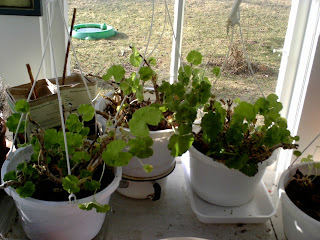 The geraniums made it through the winter and have green leaves and are now gearing up for spring in my sunporch. The butternut squash, on the other hand, did not make it so well. 1. 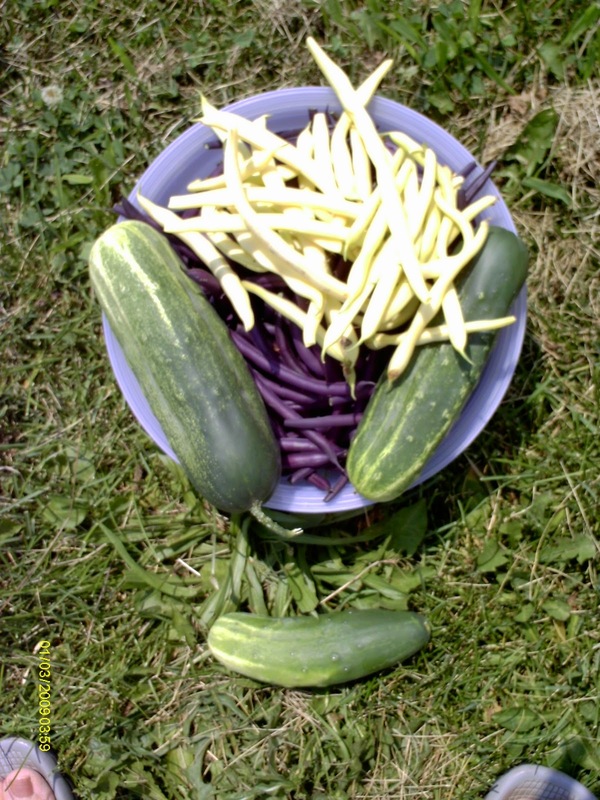 Look for more places to rehome the squash we grow this year. Don't simply hoard them. 2. 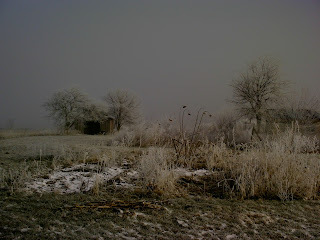 What I do keep, I need to check on more often or process in the fall/early winter and FREEZE so it won't go to waste. How can I carry this over to other avenues of life? 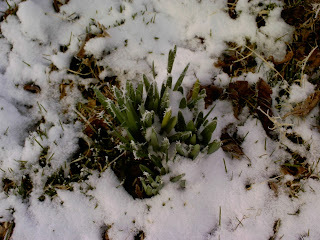 I find that Matthew 25, the parable of the talents, came to mind in my thoughts about this. 1. Determine what are my gifts and talents. Whether it be providing a meal for my family, finding information for someone, music, gardening, teaching, whatever. 2. Look for ways to use them--and actually put them to use. 3. If I don't use my talents, they just might to go waste. I should look for unique ways of using my talents (like butternut squash pie ;)). I almost stopped there. But then I looked at my Geraniums, which spent the same amount of time in essentially the same place as the squash. But they turned out completely different. We as women often press ourselves to do too much....often from reading stuff like I wrote above. I would like to suggest that.....there IS a time to rest, to sit back and rejuvenate and sort of "go dormant"...for a time. The goal, though, is not to languish so long that we sort of stagnate and decay(like the squash), but rather, we should get our cups filled(however that may look for you---personally, music based on Scripture does a lot for my soul in these times, as well as time to myself) so that we can then emerge, ready to grow and flourish and share our talents with others(much like the Geraniums share their beauty). There. How's that for an analogy? All the best to you and yours! Spring is on its way soon! 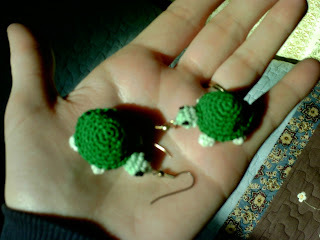 Today, as I was looking for something GREEN to wear, I remembered these earrings I crocheted back in college. I think the pattern was from a vintage Workbasket magazine that was for a toy but I adapted for...earrings. They are rather big and rather....Carapacious(carapace being the back part of a turtle's shell). But they're GREEN, so I'm putting them on today and wearing them with pride. I wonder if the kids will notice? I am always looking to save money. It's a sign of times, but I think it's also in the genes, lol. My latest endeavor has been to find a cheaper way of cleaning clothes that did not exacerbate the household's allergies and skin sensitivities. 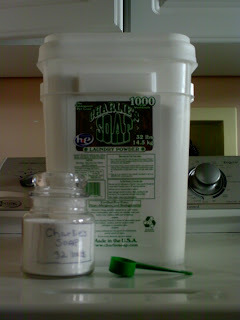 In the past, I have tried making my own laundry soap. I have tried the kind you heat on the stove and I have tried the powdered kind. 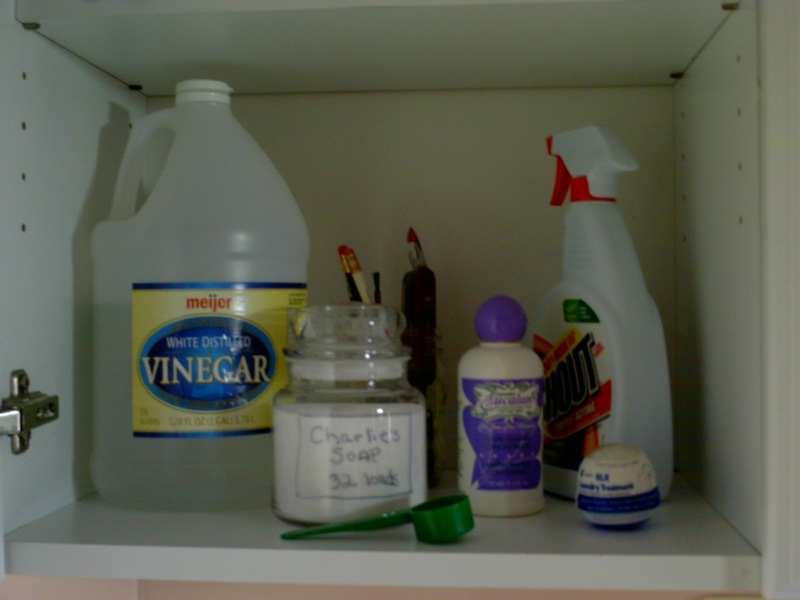 For one thing, I can't handle the scent in the soaps meant for laundry soap (Fels Naptha and Zote) and when I used Ivory, I wasn't thrilled with the results in our hard water. Again, your mileage may vary. A friend of mine in this same area has great luck with it. So, I finally came across Charlie's Soap. I was a little turned off by the price of the little bags online(plus shipping) and didn't want to commit to a 1000 load bucket and find it didn't work for me. No savings there. An online acquaintance was nice enough to dole some out for me to try for a few weeks. I have found my new laundry soap! It cleans as well as, if not better than, the All F&C and the Purex F&C that I've been using, leaves no scent behind(I am the rare bird that can't stand fragranced clothes), AND did not exacerbate my son's eczema. My most recent purchase of All F&C was at a Family Dollar, where the 32-load bottle was on sale for $4. That works out to about $.13/ load. 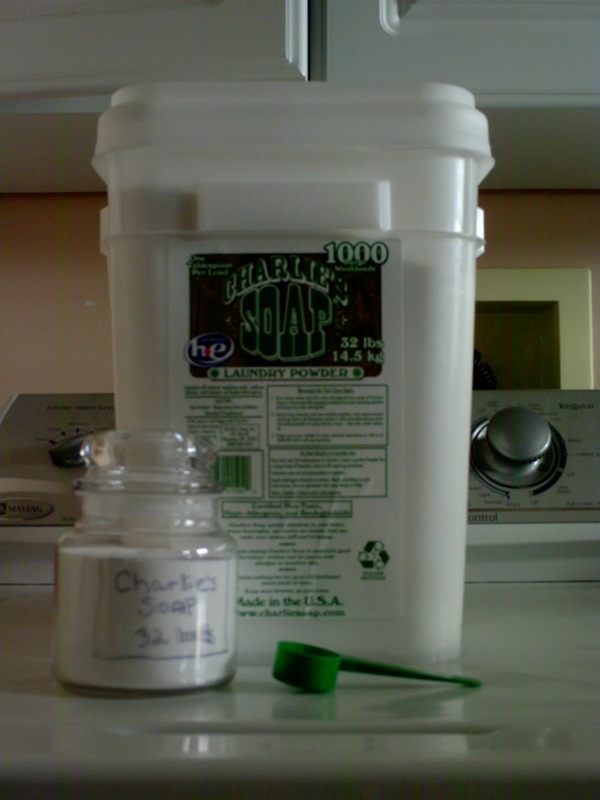 The Charlie's Soap I recently purchased on Amazon was $97.50 for 1000 loads, which works out to $.10/load. Rather than keeping the honking bucket in my laundry room/bathroom, I am reusing a Yankee Candle jar (from the good ol' days when I burned those regularly) and 32 loads fit perfectly in the jar. See the top of the rectangle I drew around my label? That's the line to refill later rather than counting 32 scoops. The jar looks cute and fits better in my cupboard than the detergent bottles. No more trips to the store for more laundry detergent (and accompanying unplanned impulse buys). And no more detergent bottles to mess with recycling! Man, I'm feeling GREEN today! Why Yes, it Was the Xanthan Gum! I went in today for an allergy appointment and sure enough, Xanthan Gum is a definite reaction-causing substance for my body. Heh, the body doesn't lie, no matter how much we might be in denial about something.... The pure Xanthan Gum was a definite allergy-inducer, as was my Earl Gray/Lady Gray tea(from the corn-avoiding background, it's probably in the natural flavors or the adhesive in the bag) and the toothpaste that started this whole anti-Xanthan Gum thing. The plain black tea(that I drink every day) was fine. For those who are unaware, Xanthan Gum is derived from fermented corn sugar (and ya'll might remember I have a history of corn allergy...do I sense a theme here?). According to WiseGeek, the name Xanthan Gum comes from the strain of bacteria grown on that fermented corn sugar, Xanthomonas campestris, and is the same strain of bacteria responsible for causing black rot on broccoli, cauliflower, and other leafy vegetables. It is a thickening agent used in many products such as bottled salad dressings and sauces, fast food(might explain the reactions after the McDonald's run the last month or two ago...), in dairy products, personal care products, and toothpaste, just to name a few. I posted previously about my problems with what I thought I had narrowed down to the Xanthan Gum. I'd also mentioned I am avoiding nightshades because I suspect I *still* am reacting to them(and am currently avoiding). Yep, it was the nightshades, too. Simultaneous "Ugh!" and "Yay, I'm learning to listen to/trust my body's signals." I am apparently the only patient who has had things crop up repeatedly after being treated (nightshades and corny derivatives). Not really something to be proud of, either...I'd really kind of rather get rid of the problems and go on with life, thank you very much. But it seems that such is not my lot in life. For some reason, I think I am *supposed* to be thinking about what is our sustenance. So...in the meantime, I am going to continue on the gluten-free, nightshade-free, (and Xanthan Gum-free for at least a few days more if not longer) elimination diet and continue to watch for changes. Perhaps, as my gut heals, so will my immune system response, and I will in turn quit reacting to the nightshades and other stuff that sneaks up on me when I am not so careful about what I eat. It will be interesting, too, to see how my seasonal allergies do while I am gluten- and nightshade-free. Be warned that this post has potential to be a bit TMI. When we're talking about allergy/sensitivity issues, things can get a bit...interesting. I have been having...issues with *something* in my diet. As I have mentioned previously, the BioAllergenix has helped immensely in opening up most foods as allowable in my diet. With the exception of tomatoes--which I think is a genetic thing I just have to live with to some extent, but has gotten better with the treatments--just not cured. The issues I have been having are basically a sore belly/gut. My digestive system, mostly my gut but there are clues(such as itching) that it's sometimes moved beyond that, is not happy. I've not had the classic symptoms of celiac(ie. I'm not having to run to the bathroom multiple times/day if you get my drift) but I do know that when I was trying to reintroduce wheat, I would have horrid heartburn issues, and I wonder if it's the culprit here with my gut. I also found that my toothpaste, of all things, was attacking me. Over the course of a few weeks, the corners of my mouth were sore as all getout, leading to a coldsore(making me think my immune system was suffering), and I think possibly might have exacerbated the gut problems I have been having lately. I mean, the digestive system starts at the mouth...if this stuff was wreaking havoc there, what might it be doing where I couldn't see???? I have switched toothpaste and believe the component in the offending toothpaste that caused this is Xanthan Gum. I have gotten the same response to some coffee mix in the past and compared ingredients and that is the one thing they shared in common....and I would get similar reaction to sauces and salad dressings....and upon inspection they all have xanthan gum. At any rate, I'm not using any of those things now and my mouth feels *much* better. I plan on going in for an allergy/chiro visit this week. We'll see if I was right about the xanthan gum. (which, by the way, is probably derived from Corn---please o please don't let the corn allergy come back full force!). 5. Considering Calcium Bentonite clay, as I was given the go-ahead from the family doc, but think I should wait until this trial is over so I know if it's the elimination diet or the clay that works/doesn't work. When was the last time you heard the still, small voice of God? However useful a tool technology can be in this digital age, I personally find it very distracting, addictive, filling my mind continuously with a flow of information even when I am away from it (or as far as one can get from it these days). 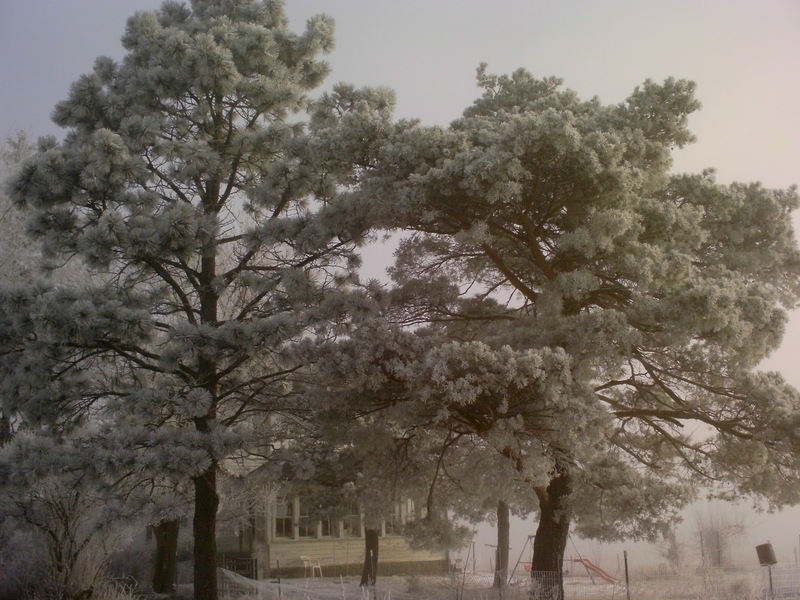 I liken it to the strong winds and the earthquake and the fire Elijah experienced in I Kings 19. Very "effective" and impressive and earth-shattering(pardon the pun)...but not what is needed in all circumstances. Yet, here I am with another post. I suppose that, despite its drawbacks, the internet is not entirely evil. ;) It does have its place. I find it hard to rest and be still and to hear the voice of God speaking to me. Maybe this is a personality thing, or maybe it's due to the busyness of life today. When I *am* able to pry myself away and also find the time to actually be still(which can be a challenge while keeping the home fires burning), I find it much easier to hear Him. Sometimes that time is (sometimes annoyingly) 4AM. What I have "heard" (not an audible voice, in case you are wondering) is that still small voice saying "feed the people". I haven't exactly figured out or been the told the specifics as of yet. But my husband has had similar nudges along the lines of being prepared...for *what* we are not certain. I wonder if this is a "feed my lambs" sort of order as in John 21, where Jesus is asking Peter if he loves Him and tells him to feed His lambs/sheep. I find it interesting that just this morning I was reading Crazy Love by Francis Chan and he is challenging me in my love for my Savior, much as Christ Himself challenged Peter. I don't think these things happen by chance, the correlation of what I feel the Lord is telling me, the message last night at Bible Study, and my opening this book this morning. The Lord is making me think and drawing me nearer to Him! :) May I be open to His teaching. Perhaps we are to be feeding others spiritually(of course we are! ), and for now our way of doing that is in raising our own children but also in leading/teaching Children's Church on Sundays and in my substituting when needed in Sunday School and Awana. But I also feel there is more to it than that. With my background and knowledge in food and the quality of it in the US(and elsewhere), I believe we should also take it literally. Especially with my and my husband's strong leanings toward sustainable living and growing organic foods. Again, trying to figure out the How, When, Where, etc. I did get part of my seeds for this year and am making the garden plans soon. So, until I get further guidance, I'm obeying in what I know to do. Prayers are appreciated as we listen and seek to obey Him.